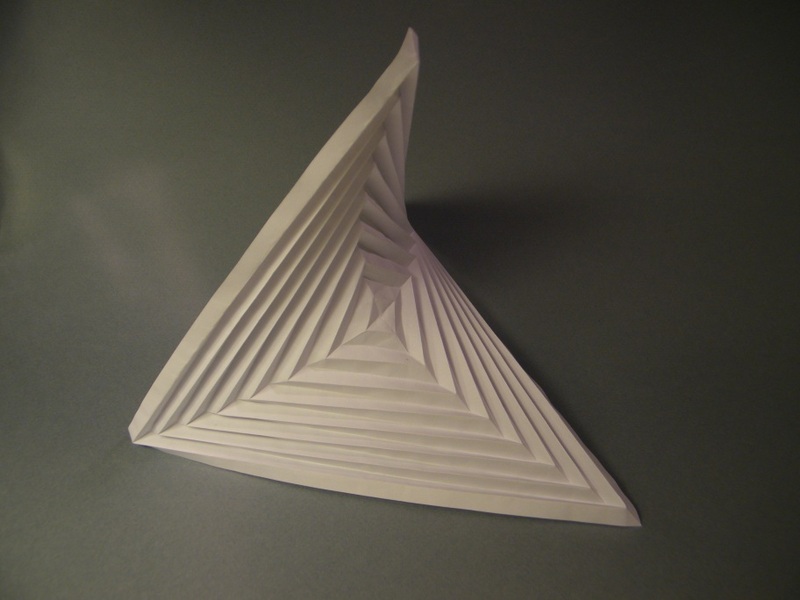 A fantastic tidbit that popped up in my facebook feed today: http://www.kurzweilai.net/how-to-make-almost-any-shape-out-of-a-flat-sheet-of-paper This comes partially from Tomohiro Tachi, an origami friend, and one of the top people worldwide working with computational/mathematical origami tessellations and corrugations. 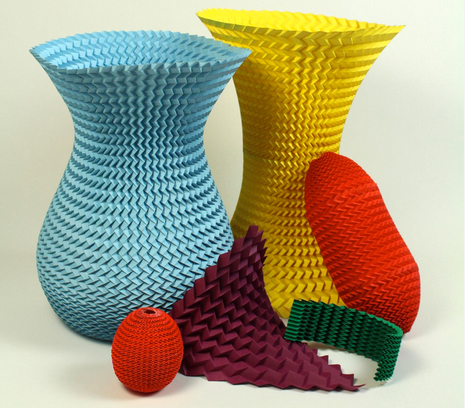 If you look further at his Flickr page you can find beautiful examples of 3D constructs and controlled folding mechanisms. It’s very exciting work!